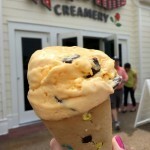 Disney Food News This Week: 2019 Festival Dates, New Eats, and MORE! Dates announced for the 2019 Epcot Festival of the Arts! The Family Playground at the Epcot Food and Wine Festival reopened! We have the dates for the 2019 Epcot Flower and Garden Festival. We checked out what’s NEW at the Monorail Resorts. We reviewed the Apple Pie a la Mode in Disneyland! Check out all the new stuff at the Magic Kingdom this week! We reviewed the Musubi at Disneyland’s Bengal Barbecue. Breakfast is coming to The Plaza Restaurant – for a limited time. Check out the new Mashed Potato Hot Dog coming to the Magic Kingdom. A new Kona Beer Flight is available at Disney’s Polynesian Village Resort. We’re talking about the 25 can’t-miss holiday experiences at Disney World! Check out the new dance party coming to Disney’s Animal Kingdom in 2019! We reviewed the Early Morning Magic at Toy Story Land. We checked out what’s new at Epcot this week. New rides, events, and characters coming to Disney’s Hollywood Studios in 2019. We have details on a new parade and more coming to the Magic Kingdom next year. Disneyland Resort Hotels announce trick-or-treating and more. 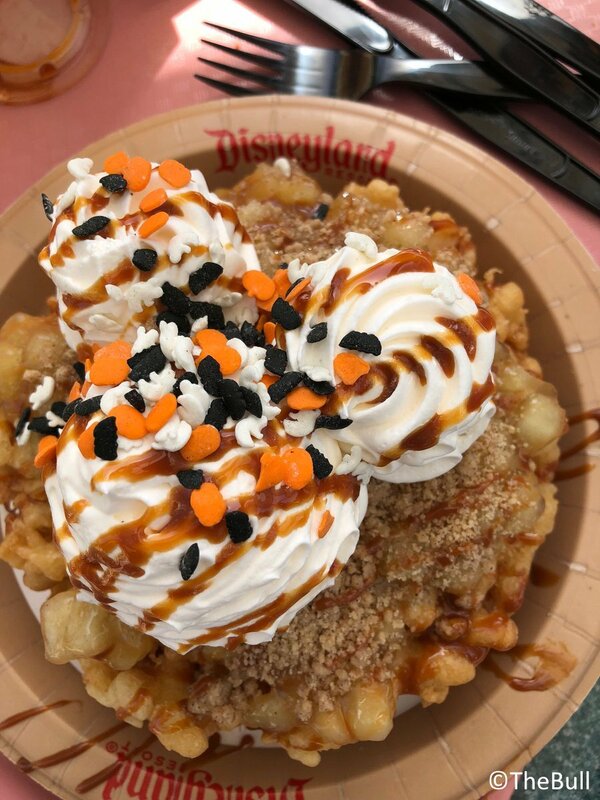 We reviewed the Black Rose Dessert at Halloween Time in Disneyland! Check out the allergy-friendly menus available on Mobile Order. You can order a coffee with character at Disney’s Contemporary Resort. We spotted Disney branded Ziploc bags at Splash Mountain. Check out even more NEW stuff at Disney’s Hollywood Studios! Poison Apple Glow Cubes were spotted in Disney Springs. We have a first look at the new menus for Centertown Market and Banana Cabana Pool Bar. Disneyland’s Plaza Inn offering Christmas parade dining packages. We have details on what’s new at Disney’s Animal Kingdom. Epcot’s IllumiNations: Reflections of Earth to be replaced in 2019. We reviewed Spice Road Table in Epcot’s Morocco Pavilion. 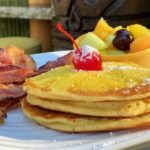 Kids eat FREE at Frontera Cocina in Disney Springs! 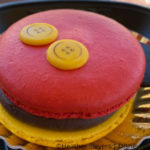 We reviewed the Sweet Potato Hand Pie at Jolly Holiday Bakery in Disneyland! 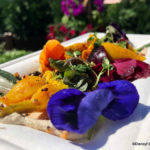 Check out updated menu at Earth Eats at the Epcot Food and Wine Festival. We have details on Meatball Mondays at Terralina Crafted Italian in Disney Springs. 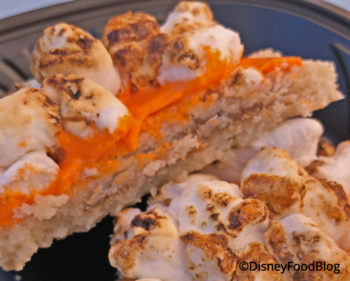 We reviewed the Orange Sugar Churro with Candy Corn Dip in Disneyland. Check out the Green Apple Spell Lemonade at Disney California Adventure. New DFB YouTube videos: Food Tour – Swan and Dolphin Resorts, 11 Things That Never Would Have Happened at Disney 10 Years Ago, The Best Eats and Must-Dos at Halloween Time, and 15 Quick Service Restaurants That Are Better Than Table Service. Have you subscribed to the DFB YouTube Channel? We’ve got great content going up twice a week showcasing our adventures in Disney World and Disneyland! This week, we’re sharing our latest video — check it out — 15 Table Service Restaurants That Are Better than More Expensive Table Service Restaurants — and don’t forget to subscribe here. Deal of the Week: The DFB Guide to the 2018 Epcot Food and Wine Festival e-Book! We are SO excited to share with you the DFB Guide to the 2018 Epcot Food and Wine Festival! The Festival kicked off this week and this ebook is the BEST tool for helping you plan your visit! With more than 250 pages of new updates and information for 2018, we have everything organized to ensure that you have your absolute best Food and Wine Festival yet! Use promo code CHEFS and get 20% off the price! This year’s Epcot Food and Wine Festival runs 75 days from August 30 until November 12, and the DFB Guide to the 2018 Epcot Food & Wine Festival e-Book features all the info you need to know about this year’s events, from what’s NEW, to brand new details and a FULL Daily Schedule of Events. This book is uniquely organized to make sure you have the best Food and Wine Festival, ever! What’s in the DFB Guide to the 2018 Epcot Food & Wine Festival e-Book? Full Booth Menus with over 100 full color food photos featuring what menu items you can expect at the World Showcase booths this year. A full Schedule of Events for every single day of the festival. Don’t mess with scrolling websites and making calendars — we’ve got everything organized so you know exactly what’s happening on each calendar day! It’s the most in-depth coverage of the Epcot Food and Wine Festival ANYWHERE. A full chapter on what’s NEW at the festival, including a full list of new menu items at the booths! As always, we’ve made this guide instantly downloadable for your convenience, and easily installed on your mobile devices. This guide is guaranteed to help you better plan your best Food & Wine Festival visit or your money back! Visit the DFB Store today and use promo code CHEFS to get 20% off the DFB Guide to the 2018 Epcot Food and Wine Festival! 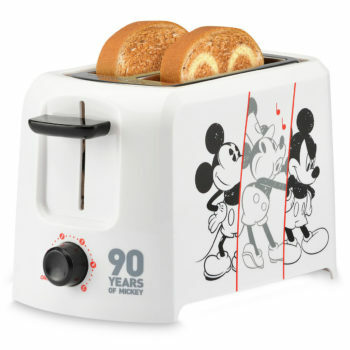 Mickey Fix shared a must-have Mickey Mouse 90th Anniversary Toaster! 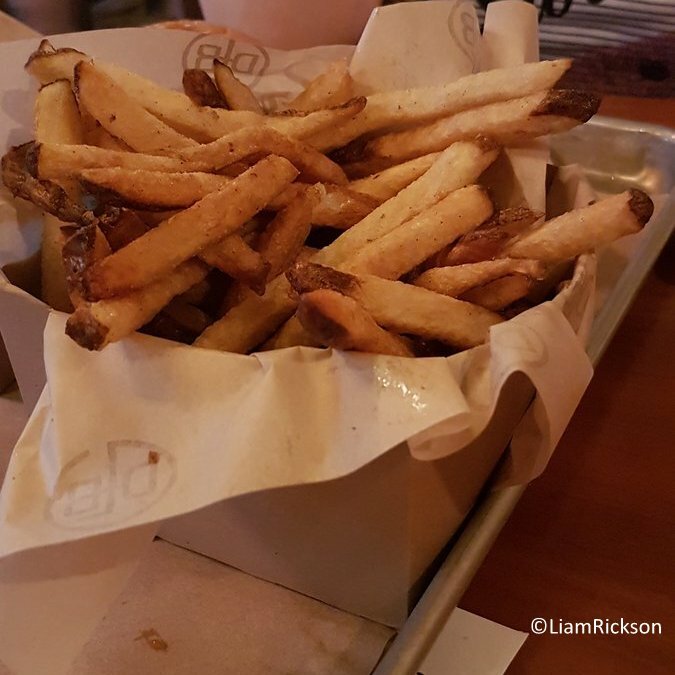 WDW for Grownups shared tips for dining without reservations. Disney Parks Blog shared a cute Disney Doodle mashup featuring the Swedish Chef at the Epcot Food and Wine Festival. Disney Family shared a recipe for a Sleeping Beauty Donut Cake. 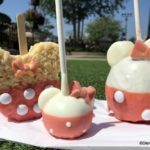 Don’t Miss ANY Disney Food News! Join the DFB Newsletter to get all the breaking news right in your inbox! Click here to Subscribe! Disney News This Week: EVERYTHING New At The Disney Parks! « Move over Frosé – It’s Freaujolais All Day at Wine Bar George in Disney World!